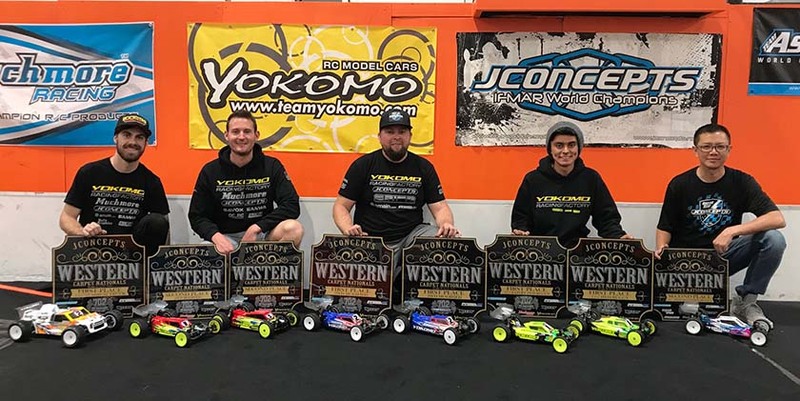 Yokomo's Maifield, Gonzales, & DiBrino Cash In @ 2019 Western Carpet Nationals in Las Vegas! 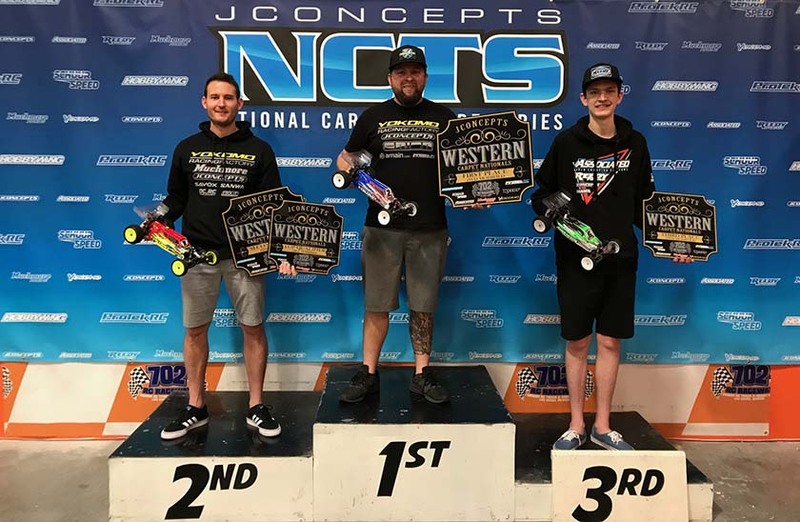 The 2019 Western Carpet Nationals were held March 22nd-24th at 702 R/C Raceway in fabulous Las Vegas, Nevada. 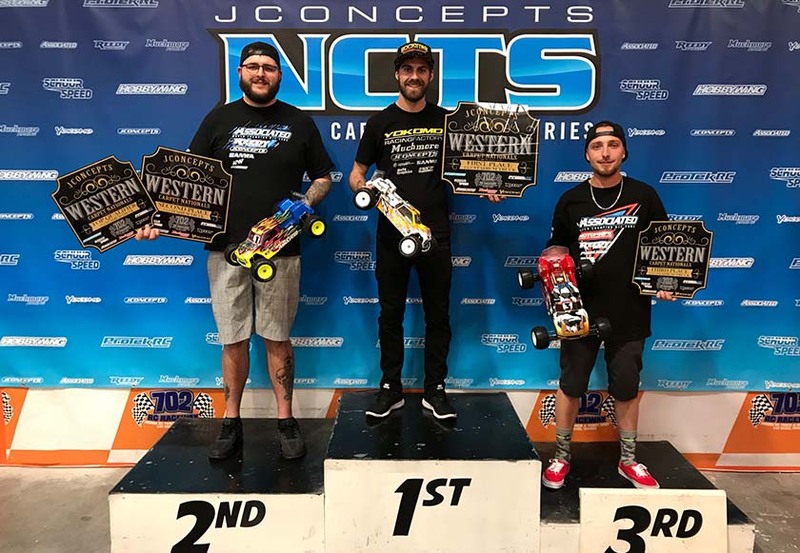 Yokomo would arrive at this inaugural event with a very stacked team consisting of: Ryan Maifield, Ryan Cavalieri, Matt Gonzales, Andy DiBrino, Thomas Tran, Wayne Ashmore, Chad Eubanks, Rudy Rosales, and Tony Campuzano. Also in attendance for Yokomo, was USA Team Manager Joe Pillars to provide his un-matched support to all Yokomo team drivers and customers. With 134 total race entries, the stage was set for a great event! 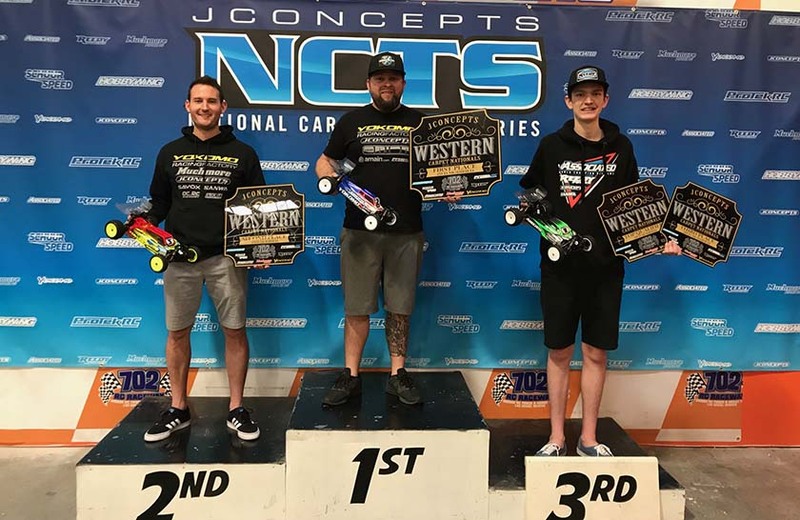 In the 2wd Modified Buggy class, Yokomo’s Ryan Cavalieri would take the overall TQ honors with his Muchmore powered YZ-2 CA L2 and Yokomo teammate Ryan Maifield would qualify 2nd overall with his Orion powered YZ-2 CA L2. Cavalieri took the Win in A-Main #1, with Maifield finishing a very close 2nd. Maifield then took the Win in A-Main #2, with Cavalieri finishing 2nd. Maifield went onto take the Win in A-Main #3 and take home the 2wd Modified Buggy Championship! Cavalieri would go onto finish 2nd overall to put Yokomo 1st and 2nd on the podium! In the 4wd Modified Buggy class, Yokomo’s Ryan Maifield would qualify 2nd and teammate Ryan Cavalieri 3rd. Maifield took the convincing Wins in A-Main #1 & A-Main #3, to take home the 4wd Modified Buggy Championship! 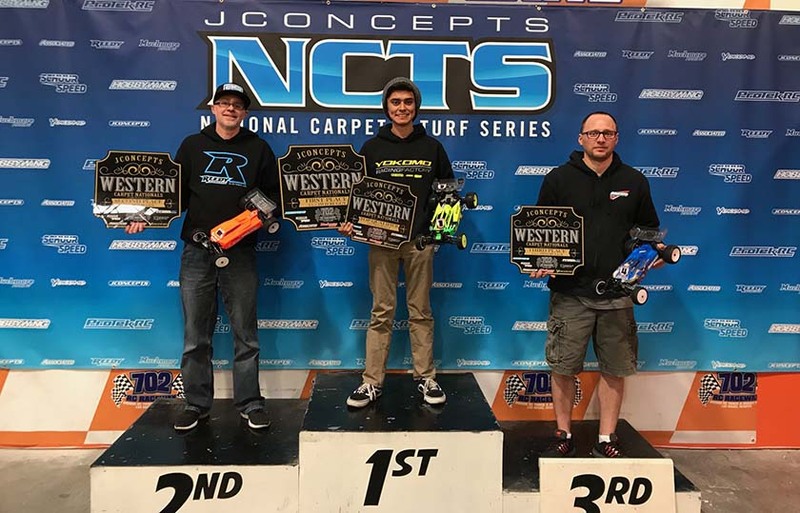 Cavalieri finished 2nd in all three A-Mains to finish 2nd overall, again putting Yokomo on the top two steps of the podium! In the 17.5 2wd Buggy class, Yokomo’s Matt Gonzales went onto take the overall TQ with his Trinity powered YZ-2 CA L2! Gonzales then put in a great drive during the single 8-minute A-Main to take the Win and the 17.5 2wd Buggy Championship! 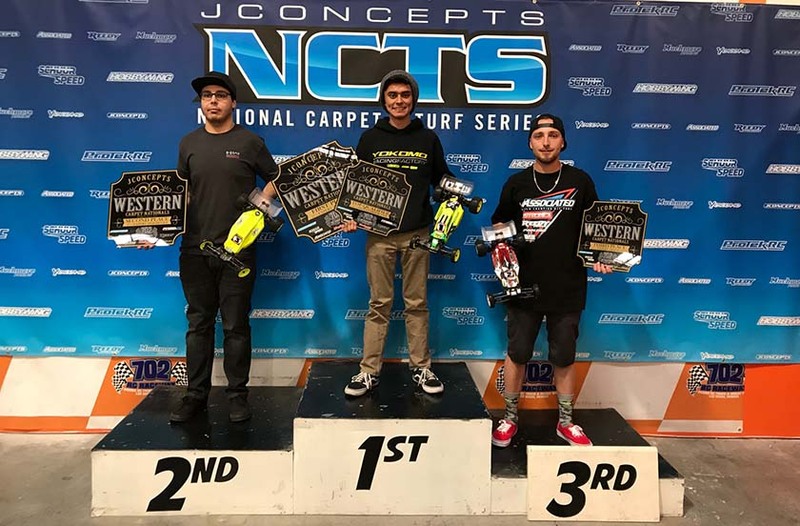 In the 13.5 4wd Buggy class, Matt Gonzales also took the overall TQ with his Trinity powered YZ-4 SF! Gonzales drove flawless in the single 8-minute A-Main to take the Win by a considerable margin and the 13.5 4wd Buggy Championship! In the 13.5 Stadium Truck class, Yokomo’s Andy DiBrino would show great speed and qualify 2nd overall with his Muchmore powered YZ-2T! DiBrino then came out swinging for the single 8-minute A-Main to take the Win and the 13.5 Stadium Truck Championship!